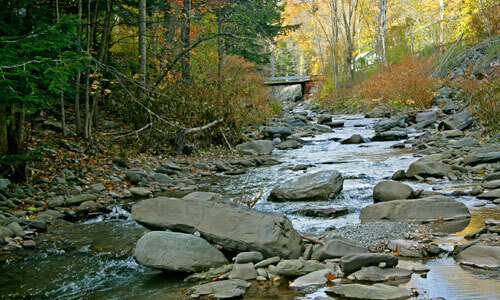 Roughly par­al­lel­ing State route 42, Bush­nellsville Creek runs through the Towns of Lex­ing­ton in Greene County and Shan­daken in Ulster County. Its head­wa­ters drain from Sleep­ing Lion Moun­tain and Hal­cott Moun­tain in the Hal­cott Moun­tain Wild For­est. The stream ends in the ham­let of Shan­daken where it flows into the Eso­pus Creek. 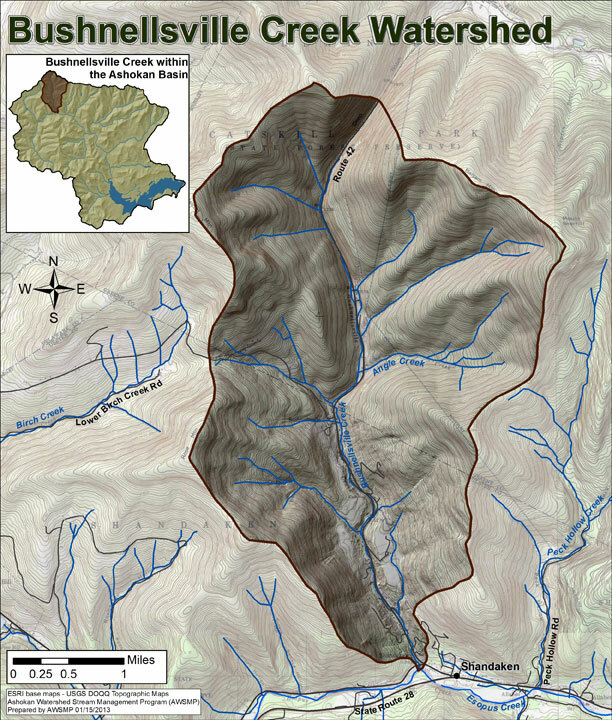 The size of the Bush­nellsville Creek water­shed is 11.1 square miles and the length of the main stem chan­nel is 6.5 miles. 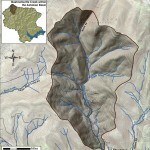 Angle Creek is its pri­mary tributary.